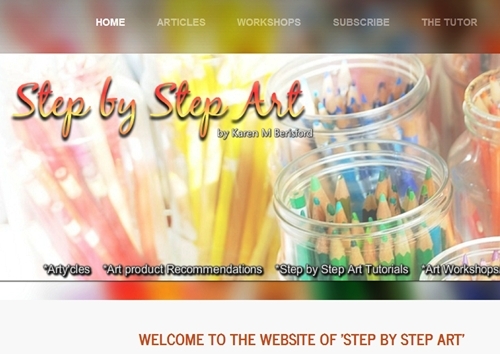 As an Art Tutor, I think it is very important for me to be able to give recommendations to my students regarding different papers for different mediums, and I am happy to also give that information to others who may be looking for something different to use in their work - however, please note that as each and every Artist works differently to another, advice and information given on this page is from my own working point of view and therefore cannot guarantee that the stated paper is going to be the favourite of each and every reader. For many years I have worked on a heavyweight card for my Coloured pencil pieces, normally with a weight starting from around 220gsm - the reason for this is because heavier papers allow more applications and the thickness can hold excessive pressure that I usually apply to my pieces as I built the Artwork up - however, a fellow Artist trialled the Colourfix paper for the use of her Soft pastel pieces, enjoyed it and sent me a couple of sheets to try too. Out came the pastels and the paper but I found it a little heavy and so gave up, tucking the spare sheet away with no plans to use it again! A couple of years later, one spare and useless sheet of colourfix, I decided to try the Coloured pencils on it after reading that it was also suitable for the CP's too, and I found it to be a wonderful paper for my favourite medium, the Coloured pencils. Below are 2 quick sketches of a Tiger's Eye, both done with the same pencils as each other, but the right is applied to a 220gsm cream card and the left on the Sand coloured Colourfix paper. 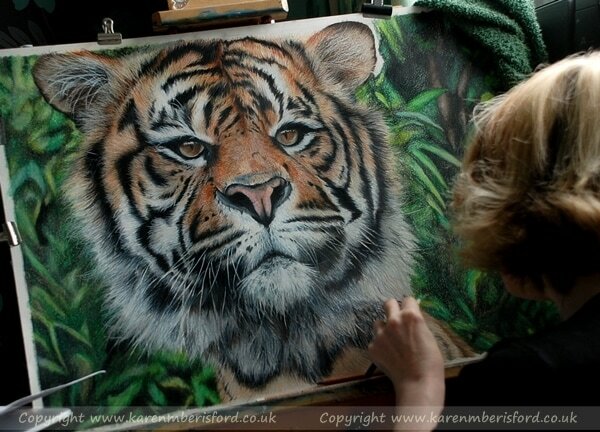 Here is another Tiger I begun a while back in Coloured Pencils on White Colourfix. The 'first layers' image, shows the underlayers that I always begin with for all my work, the 'detailed section' shows the piece after multiple layers of pencils including the white on black (!!!) I also use fixative during layers, as this allows me to apply even more layers over the top, even creating a textured surface too! I finished the white fur with Acrylic paint, another great reason to use Colourfix. I will continue to use the 220gsm card for my work as I do prefer the smooth finish, but will use the Colourfix paper for larger pieces, just because Coloured pencils are a very intense medium and with this paper I can produce larger pieces much quicker than I can on smooth paper, as I do not need to add so many layers. 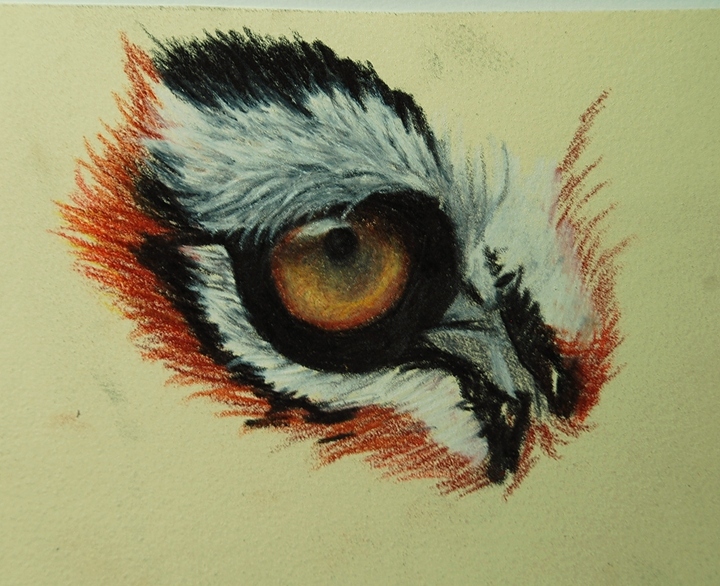 I hope this article is able to help other Coloured pencil Artists, but what I would recommend, as with any new medium or product - practice first, get used to the paper, see which of your pencils work better on which paper and if there are any techniques that you currently incorporate into your work, be aware that it may not work with Colourfix paper - but just try it and have fun!